We are very fortunate to be born as Hindus. Because it is us who are mercifully given the rare opportunity to witness the eternal presence of Supreme Bhagwan. 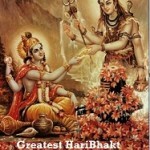 We are given several avenues and methods to reach Bhagwan, feel him for real, see him in our dreams or even personally. 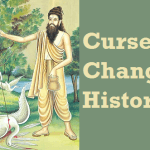 No other religion has legacy where God himself comes to a place to fulfill the promise he gave in previous Yug. We all should enrich our lives with the blessings of Bhagwan Krishna. We all are only Sanatani people belonging to great Bhumi, Bharat (only Hinduism is Dharma of Vedic people who followed Supreme God, rest are religions made by men). Let us meditate on the supreme Lord of the nature of Truth, Who, by his self-effulgence, always dispels falsity of every nature, From whom the creation, sustenance and dissolution of their entire universe proceed and which is indicated by his presence in all the created entities beginning from Akasha and His absence in all the totally non existent entities like sky-lotus, hare’s horn etc., who is omniscient (all-knowing), who revels in his own glory, who made Brahma realize the Vedas through his mind which are stupefying even for the great souls, in whom the creation which is caused by three-fold Maya (Sattva, Rajas, Tamas) appears to be true (though not in reality) just as Fire, Water and Earth appear in one another (as in a mirage). When there was nothing – neither the beginning nor its end; there was always the presence of Bhagwan. There is always the Supreme Being who controls the creation to destruction. For if there was none then how after destruction, the creation of Universe happen again. The cyclic process of creation to destruction is endless, timeless and cannot be comprehended by the timescale we live in. We are most negligible even if we build the biggest and best of the scientific structures or machines. For we cannot surpass the timescale and frequency that is administered by the Supreme Bhagwan. The only way to feel and realize the presence of Supreme Bhagwan within us is to focus our mind selflessly on him and chant ॐ नमो भगवते वासुदेवाय. Bhagwan Krishna is beyond time – had no beginning and end because he needs to recreate the Universe and worlds after destruction. So how can he take rest and go into hibernation after ending ? Bhagwan Krishna comes every night in Nidhivan to perform Raas Leela with Radha and Gopis. Banke Bihari Temple was constructed in 1864 with the contribution of Goswamis. 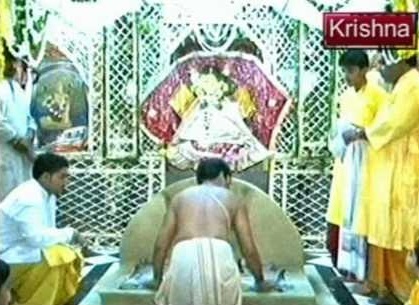 After constructing of temple, Goswamis transferred the idol to this temple. Bankey means “Bent at three places” and Bihari means “Supreme enjoyer”. 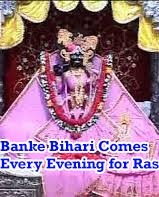 Bankey bihari ji is worshiped and looked after as a child. There is a different and unique style of celebrating every festival in Bankey bihari temple. The deity is dressed up and offered cuisine (bhog, prasad) according to season. Temple is decorated with lights and various types of flower according to festival. 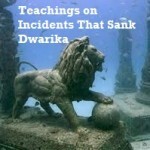 There are no bells or conch in the temple because Bankey Bihari does not like the sound of bells or conch. 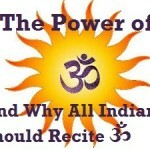 There is only chant of ‘Radha Naam’. When someone enters in the temple, he feels an eternal bliss and calm and forgets all misery. As soon as someone meets with Thakur ji, he becomes devotee of Thakur ji. 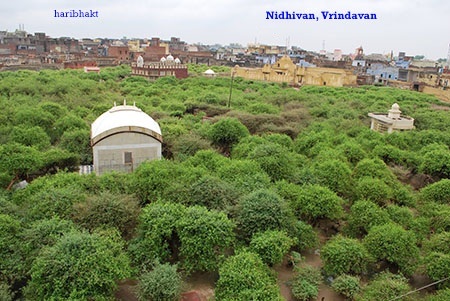 Nidhivan or Madhuban is a sacred place with a temple of Banke Bihari which is situated in Vrindavan. The entire place within Nidhivan is surrounded by divine trees which are close to each other in dance poses, touching each other. The branches are all entangled with one another in such a manner that look like humans hugging each other. Such type of harmonious arrangement of trees is not found anywhere in the world. These tulsi trees are actually the Gopis who transform to human forms after evening. 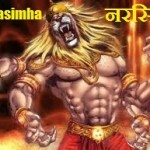 Nidhivan got its name from Sanskrit term of Nidhi meaning treasure and Van which means forest. 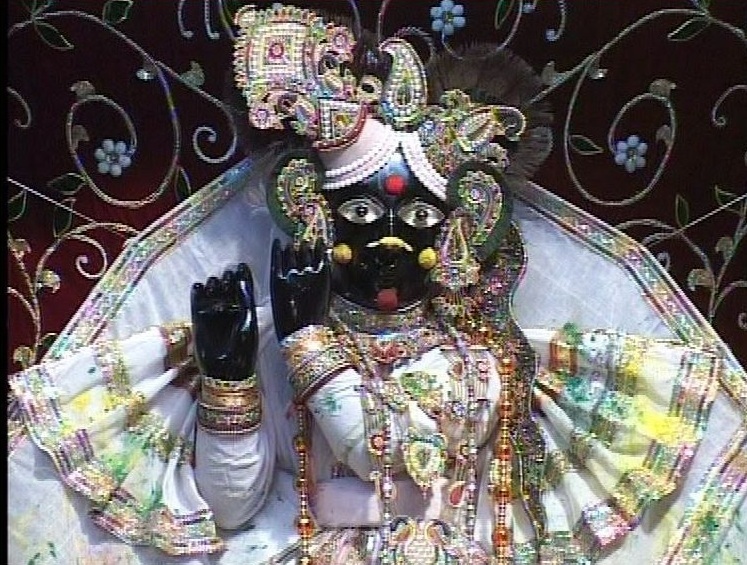 The number of trees in Nidhivan is exactly 16,108 – the same number of companions were of Shree Krishna in Dwapar Yug. The trees are shallow, dry and closely entangled but from above they look so fresh and divine. There is no tree in the entire world which is shallow and dry but has green leaves. The height of the trees remains same like they were in Dwapar Yug – almost 5000 years ago. 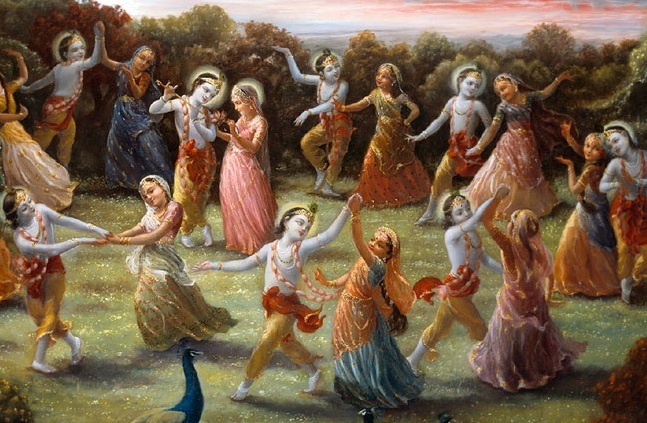 Banke Bihari with Radha and Gopis dance together at night in Nidhivan to fulfill the promise Bhagwan Krishna gave to Gopis when he met them in Dwapar Yug. Nidhivan is located in Vrindavan city of Mathura district in Uttar Pradesh, India. The same place where Bhagwan Krishna performed his leela and re-established Dharma in the world which was in danger due to evil acts of Kaurav and Kans. 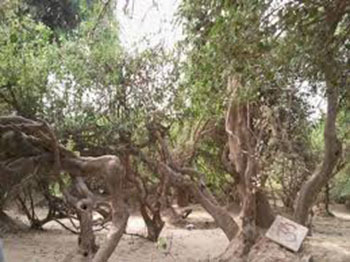 Right in the middle of divine Nidhivan of tulsi trees, there is a temple of Radha Krishna. There is a one room Kunj also in a separate spot where Radha and Krishna take rest after dancing. Devotees of Vrindavan are deeply in love with Bal Krishna, they treat him as their kid. 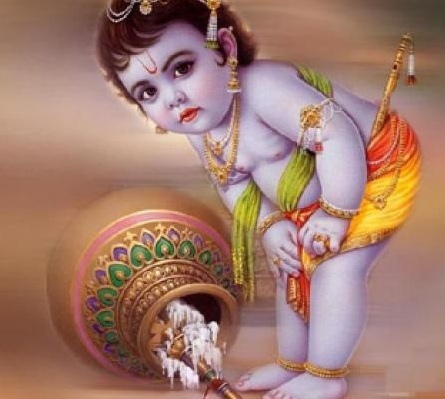 The love and care that they bestow on their own kids is given to Bhagwan Krishna too. And even Bhagwan responds to their gratitude by consuming items given to Bal Roop of Krishna. After finishing evening aarti, the pandits keep dress, daatun (natural toothbrush), water and four ladoos in the temple and the doors are locked from outside. 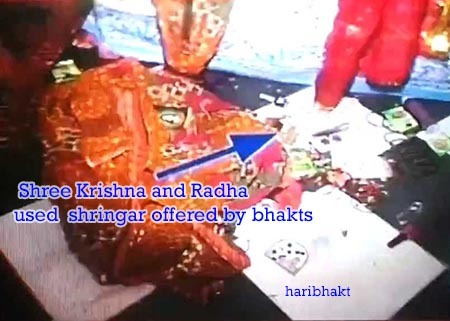 Several TV news channels crew took footage of the closed temple and when in the morning they returned to check the temple, they found all the items including Shringar materials offered by Bhakts and Pandits to be consumed by Bhagwan Krishna and Radha themselves. The forest is full of monkeys and birds. The entry is banned for any living being in the perimeter of Nidhivan. Even animals obey the rule and completely disappear from the place not to disturb the divine Raas Leela performed by Bhagwan Krishna. No one dares to break the law and whoever tried either became senseless, deaf and dumb or lifeless. 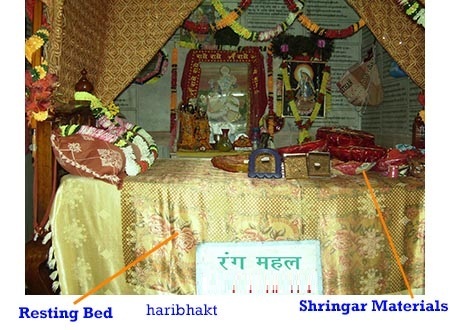 The pandits also offer bed to Banke Bihari and Radha so that after dancing whole night they can rest on the bed. 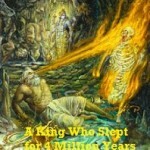 In the morning, the creases on bedsheet reveal that the Supreme Bhagwan indeed rested on the bed. People residing nearby Nidhivan many times heard divine sound of flute while feeling Krishna’s opulence. The Costume place of the Banke Bihari and Radha where they decorate themselves. By Road : Vrindavan is situated on Delhi-Agra NH-2. the various buses runs between the Agra and Delhi. temple is 7 km. away from National Highway. Getting to Temple is very easy as there are frequent tempos and rickshaw available throughout the day. Mathura is just 12 km away. frequent buses, tempos and taxies runs between Mathura and Vrindavan. By Train : The major railway station nearby is Mathura on the Delhi-Chennai and Delhi-Mumbai main line. Several express and passenger trains connect Mathura from other major cities of India like Delhi, Mumbai, Pune, Chennai, Bangalore, Hyderabad, Calcutta, Gwalior, Dehradun, Indore, and Agra. Though Vrindavan itself is a railway station. A rail bus runs between Vrindavan and Mathura 5 round in a day. By Air : The nearest airport is Agra just 67 km away from Vrindavan. The nearest international airport is Delhi, which is connected to almost every important city in the world with major airlines. There are regular flights to other important tourist destinations of India such as Delhi, Mumbai, Bangalore, and Chennai etc. 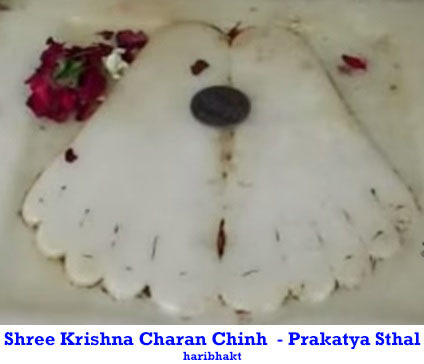 Bhagwan Krishna calls his HariBhakt to meet him. 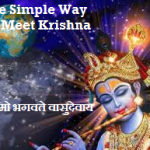 When you get a call from Bhagwan Krishna, you will definitely visit to meet him and see the historical divine places which are not found anywhere in the world but only in Vrindavan. Radhe Radhe.